HARLINGEN — Forecasters have issued an alert for high winds today from Brownsville to Rio Grande City. In bay and gulf waters, a small craft advisory also has been issued. Strong winds are expected today in Cameron, Willacy, Kenedy and portions of Hidalgo counties. 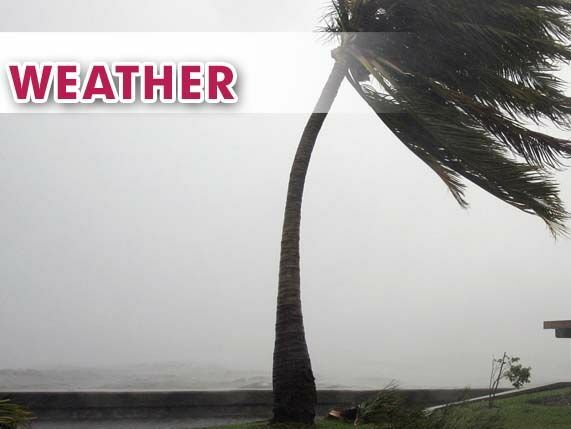 National Weather Service forecasters in Brownsville say strong south-southeast winds which developed this morning will continue through this evening. Sustained winds along the coast and in the Brownsville and Harlingen areas are expected to reach 25 to 30 mph, with isolated gusts approaching 40 mph. In Hidalgo County, the McAllen metro will see slightly lower winds of 20 to 25 mph, gusting up to 35 mph at times, forecasters said. Motorists in high-profile or wind-susceptible vehicles are urged to drive with caution, especially over flyovers and causeways. Additionally, motorists should expect strong crosswinds along east-to-west oriented highways, including I-2/Expressway 83 between Harlingen and McAllen.